Children at Little Trinity Nursery in Kidderminster took to the stage to perform this year’s jingly Christmas Concert for their families. Joining Santa and his Reindeer on the stage were the Christmas Puddings, Glittery Baubles, Snowflakes, Mince Pies, Twinkly Lights, Pretty Angels, Shining Stars, Snowmen and many Elves! With much excitement the hall filled with Christmas wonder as the Nursery’s 61 children, ranging from as young as 2-years through to 4-years of age, paraded on to the stage to perform and sing their Christmas tale of snow, presents, Santa and the joy of giving. 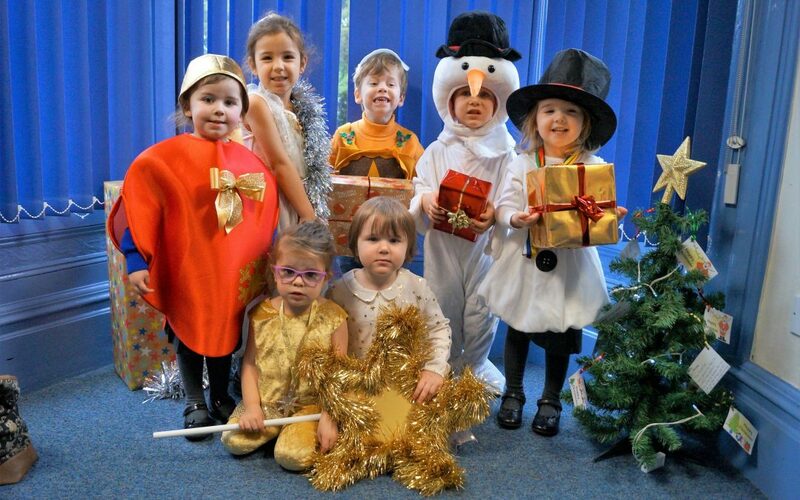 Nursery Manager, Miss Gaynor Carter, said: “The children have been practicing their songs for many weeks as part of our usual class-time, and just before the big day, we took them to the stage to rehearse just as if their families were watching them. In front of parents and family members the children sang and acted out their favourite Christmas songs. Miss Carter added: “The concert was wonderful, and many of our children had speaking parts so they needed to remember their lines.